AGC of America is governed by a Management Committee, Board of Directors and a Board of Governors. The Board of Directors is the governing body of the Association. The Board has full authority to define policy governing its own conduct and the affairs of the Association.The Board is composed of the AGC Officers, the Occupational Division Chairs and Vice Chairs, the Specialty Contractors Council Chair, the Service & Supply Council Chair, the President of the Executive Leadership Council (ELC), and nine (9) members selected by the President. Eddie is currently in his 40th year of a varied construction career that has spanned a wide range of both domestic and international markets. He obtained his BS in Building Construction from the Georgia Institute of Technology and later completed the Executive Program at the Darden School of Business, University of Virginia. His diverse project background includes embassies, correctional facilities, courthouses, barracks, military family housing, airports, power plants, research and development complexes, hospitals, and other commercial and industrial initiatives. 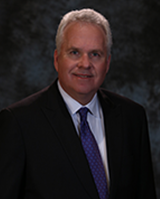 A member of the original founding team at Caddell, Mr. Stewart held various positions of increasing responsibilities, including Vice President of Estimating and Purchasing, Executive Vice President, Chief Operating Officer, and currently President/Chief Executive Officer. Eddie is very active in the Associated General Contractors of America, at both the state and national levels. He is past president of the Alabama AGC and serves on the State Board of Directors. At the national level, Mr. Stewart is active on numerous committees and task forces and has served as Chairman of the NAVFAC Committee, Chairman of the Federal & Heavy Division, and multiple terms on the National Executive Board. He is also a Life Governor on the Board of Governors and member of the Consulting Constructors Council. A native of Atlanta, Georgia and longtime resident of Montgomery, Alabama, he and his wife Robin of 42 years have raised five children and are enjoying their nine (soon-to-be 10) grandchildren. With 29 years of experience at Tarlton, Dirk has worked in all aspects of the company’s operations including apprenticing as a carpenter, estimating, project engineering & management, and executive management. His direct project experience includes work in breweries, refineries, sewers & wastewater treatment plants, commercial offices, television stations, and museums. As EVP & COO at Tarlton, Dirk is ultimately responsible for the successful completion of our projects and partners with Tracy Hart on the administration of the company. He works closely with our project teams in areas of safety & risk management, construction technology, project planning, labor relations, training & education and investments. Tarlton Corporation is a St. Louis-based builder with offices/operations in Missouri, Illinois, Wisconsin, and Minnesota. In business since 1946, the third-generation company employs 350 and has revenues in the $170-200 million range. We work under virtually every project delivery type. Annually we perform 40% of our work with our own forces. The company has four divisions (Core Construction, Vertical Concrete, Concrete Restoration, and Hydrovac Services) and serves the following markets: higher education, healthcare, life sciences, power & energy, water/wastewater, institutional, and telecom. Dirk has been involved in the Associated General Contractors on both a local and national level. In 2013 as chairman of the board for the AGC of St. Louis, he worked through the merger with AGC of Missouri. His involvement also includes governmental affairs, labor policy/negotiating committees, apprenticeship and trust fund committees, and the young constructors’ forum (back in the day). With the AGC of America, Dirk has worked on a wide variety of projects and committees, ranging from industry relations to project delivery to lean construction to closely held business issues. He also serves on the executive board for the St. Louis Construction Collaborative, a labor-management group that works to improve the construction industry in St. Louis. Dirk graduated from Cornell University with a BS in Applied Economics and Business Management. He earned his MBA from Washington University in St. Louis. He is a LEED A.P., a graduate of the AGC Advanced Management Program, and 30 Hour OSHA certified. He serves on advisory boards for the Salvation Army and Olin Business School. In his free time, Dirk enjoys outdoor activities including hiking, rafting, swimming, cycling and running. ROBERT C. “BOB” LANHAM, Jr.
Bob is a native Texan and a US Army veteran. He is a 1981 honors graduate of Texas A&M University with a Bachelor of Science Degree in Civil Engineering. Bob was a member of the Corps of Cadets and is an alumnus of Chi Epsilon and Tau Beta Pi. He is a registered professional engineer. In 2015, Texas A&M recognized Bob as a Distinguished Graduate of the Department of Civil Engineering. Bob started out as Project Engineer with Williams Brothers in 1985 upon separation from the US Army. Over the next 30 years, he worked in virtually every aspect of the business ranging from project management, estimating and contract administration. In January 2013, Bob was named President. Bob is a life member of the AGC of America’s Board of Governors. Over his AGC career through various positions has been privileged to serve 8 years on the AGC of America’s Board of Directors (formerly Executive Board). In 2006, he served as Chairman of AGC of America’s Highway and Transportation Division. Bob has served two terms as the President of the AGC of Texas (2000 and 2011). He has chaired and served on dozens of AGC committees and taskforces over his career at the state and national levels. Bob served as the chairman of The Road Information Program (TRIP) in 2006 and continues to serve on its Executive Committee. He and his wife, Pam, have been married since 1983. They have one daughter, Jennifer, an alumnus of Baylor University and an elementary school music teacher. They participate extensively in both Church and Community activities. Mr. Zingeser has over 50 years of construction industry experience in both the private and public sectors. He is a past Chairman of the Associated General Contractors of America’s Federal and Heavy Division and served for 4-years as AGC’s representative on the U.S. Department of State’s Overseas Building Operations’ Industry Advisory Panel. As a retired VP, Mr. Zingeser provides leadership for Grunley Construction’s Corporate Development programs including safety, security, quality management, and training. Mr. Zingeser has been recognized as a leader in the research, development and deployment of new technology in the building construction industry. Prior to joining Grunley, he was Manager of Codes and Standards Services for the construction sector at the National Institute of Standards and Technology. He has provided construction industry consulting services to major U.S. product manufacturers and internationally for the World Bank and the U.S. Agency for International Development. Mr. Zingeser has authored industry standards, technical manuals, guidebooks and journal articles on a variety of building industry topics. He is a Fellow of the American Institute of Architects and Past Chairman of the Washington Building Congress. Mr. Zingeser has a Bachelor of Architecture and a Bachelor of Science in Building Sciences degrees from Rensselaer Polytechnic Institute. The AGC Management Committee manages the day-to-day affairs of the Association and has the authority to transact the affairs of the Executive Board between its meetings. The Management Committee is composed of four AGC Officers who are elected annually and take their seats at the AGC Convention in March each year. Jeff Shoaf is Chief Operating Officer the Associated General Contractors of America. He was named COO January 1, 2018. Prior to taking the post as COO, Jeff worked in AGC’s government relations department where he oversaw that department for more than 20 years. He worked on Capitol Hill prior to joining AGC where he served on the staff of the House Transportation Committee for Congressman Bud Shuster of Pennsylvania for nearly 8 years. Jeff lives in Virgina with his wife and three daughters.